Send your mail in style with a customized 9" x 11 1/2" mailing envelope similar to the Fed Ex or USPS priority mail envelopes. Printed offset on 14 pt. 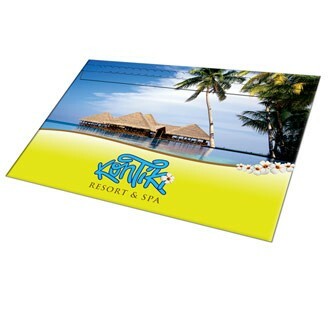 paper board, liquid laminated for a high gloss finish and uncoated back. Please refer to Fedex and the USPS guidelines for shipping and mailing. The user is responsible for determining the correct fees and postage. Lion Circle is not responsible for misuse which includes overstuffed and overweight contents. A great way to ship in style while promoting your company! Can be fully customized! Size : 9" x 11 1/2"